Sales Outcomes – Random or Predetermined? From time to time I have cause to think about how our sales operations and outcomes compare with those of our competitors. On one such recent occasion, it occurred to me that the game cycle of a “slot machine” and the sales process are very similar! 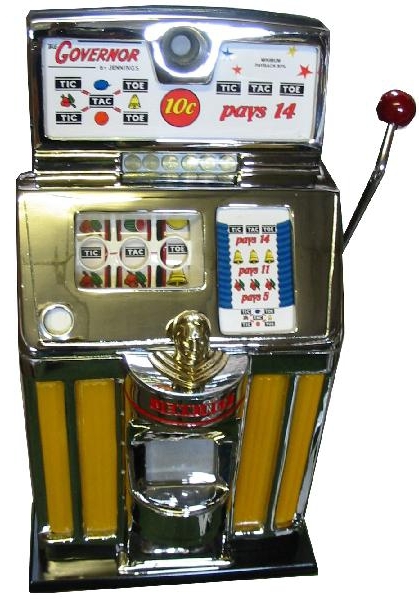 Today’s gaming machines are microprocessor-controlled (effectively a dedicated computer) but the first slot machines were entirely mechanical. Pulling the handle started a clockwork apparatus and, as it slowed to a halt, the 3 reels also stopped. This activated a set of mechanical “fingers” which pushed through perforated metal plates on the side of each reel and the distance each finger penetrated the perforations enabled the machine to “know” what symbols were displayed on the centre line. Of course, these mechanical machines didn’t really know anything. Pulling the handle simply set in motion a train of events, the outcome of which was completely random. Although we are very proud of how we employ the latest methods, knowledge and technology in our organisation, I rather like this old-school approach and we still apply it in our sales activities. When a customer comes to us with an enquiry, we make it our business to go through a systematic process with no presumption of the likely outcome. By contrast, today’s “slot machines” are very different. When you insert your money and press the start button, the computer decides, in an instant, what the outcome is going to be and simply spins the reels for a few seconds before stopping them in the predetermined positions. This gives the player a perception of involvement and value. He or she would find it very unsatisfying if the reels spun to the new combination in a second! So is your supplier a “random” or “predetermined” operator? When you “press the start button” to begin your purchase enquiry, do you feel that the salesperson goes through a thorough process leading to your best eventual outcome? Or do you feel they have already decided what they want to sell you and their process is just a charade to give you a perception of value? You are currently browsing the Guy Osmond blog archives for February, 2012.